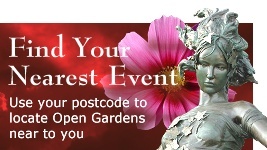 A selection of gardens are opening for Frimley Green's very popular Open Gardens Day, now in its 20th year. The participating gardens change each year so there is always something new as well as gardens making repeat appearances - with a variety of sizes and styles there is something of interest for everyone. There will be a flower arranging display in the Church on the Green by courtesy of the 'Fun with Flowers'� group that regularly meets there. All gardens are within walking distance of the village green where teas will be served. No dogs preferred except guide and hearing dogs. This has proved to be a popular event both locally and with visitors from further afield. Some gardens have only limited disabled access due to steps, narrow paths, etc. Proceeds are distributed to local good causes by the Carnival Committee. 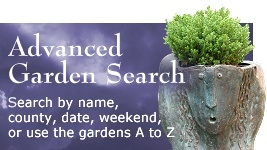 Admission to all gardens is £6.00 per adult, accompanied under 16s free. 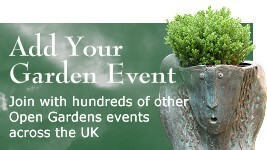 Ticket/programmes are available from participating gardens or from The Green.